Now you can experience this fabulous German Vital Bad (Bubble bath / Shower gel) here in the USA. Try the best-selling German bath gel that has attracted legions of devotees in Europe. 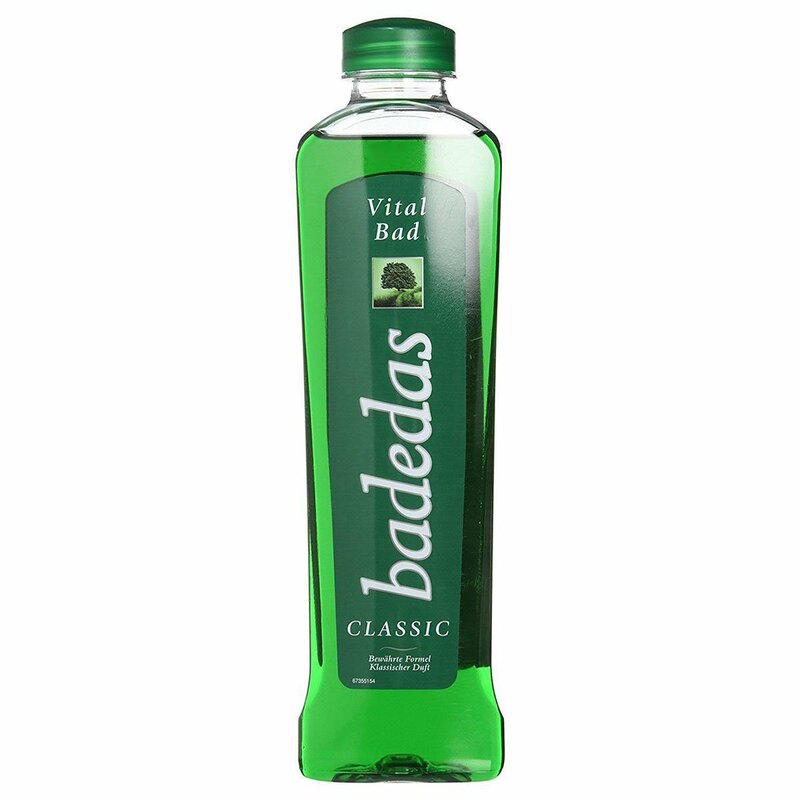 Badedas refreshes with an evergreen scent as it cleanses skin with luxuriant lather rich in botanical extracts. It can be used in the bath tub or as a shower gel. Concentrated formula produces copious bubbles, and the exhilarating scent hints at the proprietary blend of beneficial botanicals in Badedas, including cedar, horse chestnut and patchouli. Used in European spas. Made in Germany. Whether you discovered Badedas Vital Bad during a trip to Europe, or if you're just looking for a refreshing shower gel and bubble bath to revitalize your skincare routine, you'll be glad that Badedas is now available in the USA.